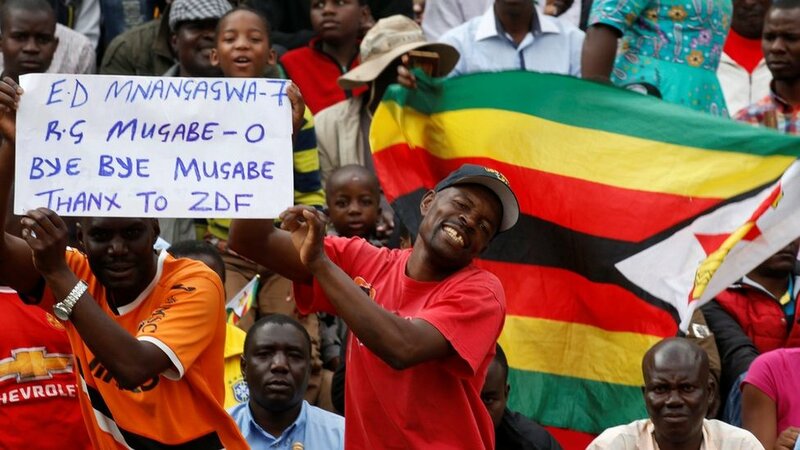 Zimbabwe’s new President Emmerson Mnangagwa has taken the oath of office in a packed stadium in the capital, Harare. We take a look at pictures of the ceremony and the thousands of people gathered at the National Sports Stadium in Harare. Image caption The new president (centre, left) arrives with his wife Auxilia (centre, right).